Root Beer Bakelite Beaded Necklace. 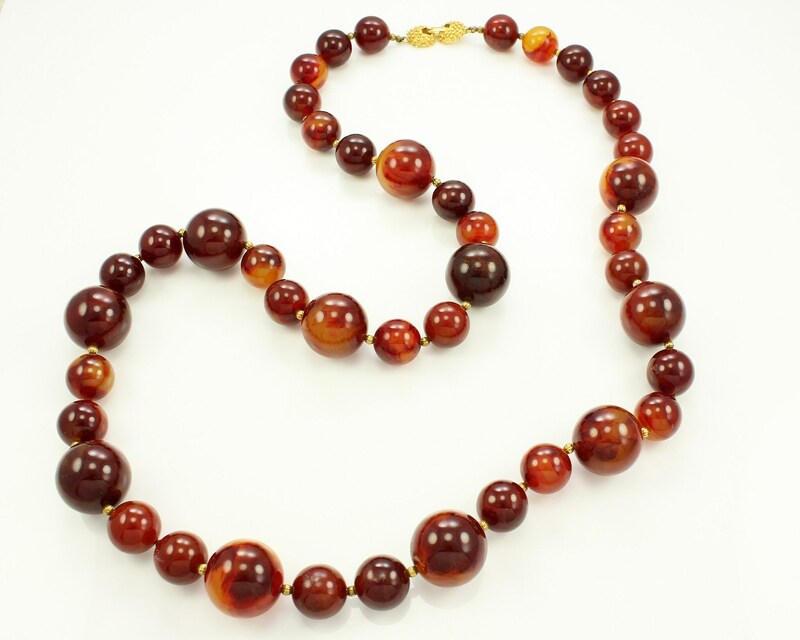 This beaded necklace dates from the fifties and features bakelite beads with gold tone spacer beads and fold over catch. The beads measure 15.1 mm and 21.35 mm in diameter. 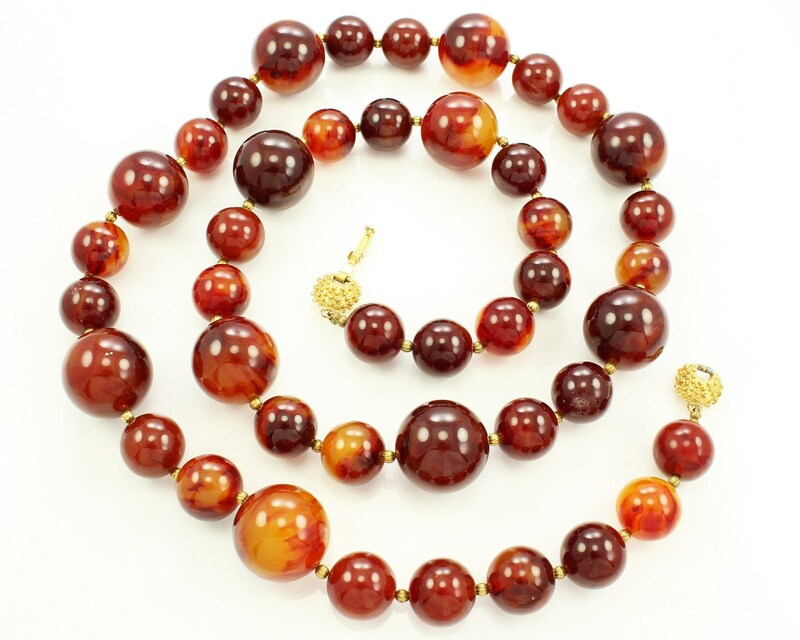 The beads have been tested as bakelite with simichrome.